There was a pundit who led a disciplined life, and always stuck to a prearranged timetable. He woke up from sleep in the early hours of the morning, recited Pranava (Om) and later, after ablutions, drank a cup of milk exactly at 7 a.m. every day. This meant, a lot also depended on how punctual his milk maid was. But sometimes the milkmaid would arrive late, for she lived on the other side of a river. The river flowed between where she lived and the pundit’s hut. She had to catch a ferry to cross over the river with the milk. The ferryboat would sometimes either start a little early or a little late. So, on those days by the time she reached the Pundit's house it used to be very late. One day, the Pundit admonished her. He said, "You are disrupting my disciplined life. Don't you know that I must have my cup of milk at 7 a.m. everyday? Why do you depend on that boat to take you across? Just repeat the name of Rama. The river will part and you will be able to walk across. Rama will see that you do not get drowned." The maid being very simple and unsophisticated had faith in the words of the Pundit. Next day, the maid repeated the name of Rama and just walked across the river! The Pundit questioned her: "So, how did you manage to come on time today?" 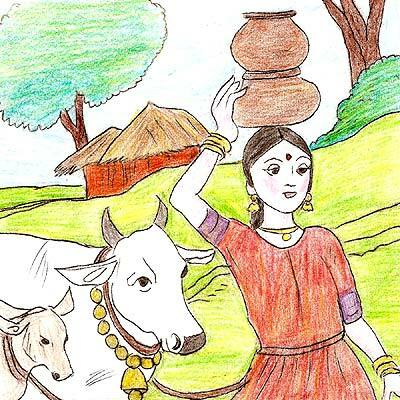 The milkmaid replied, "Sir, I repeated the name of Rama as you had instructed yesterday, and I could just walk across." The Pundit was now flabbergasted; he did not believe her account. He just drank the milk and said, "Let's now go to the bank of the river. Let me see you walk across the river." 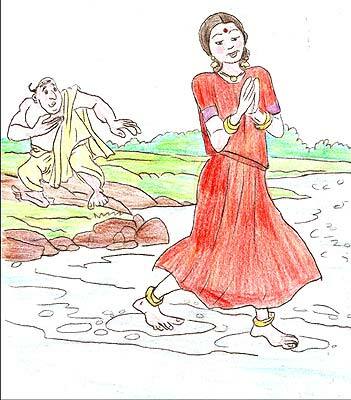 The maid stepped into the river repeating the name of Rama, and she could just walk across! The maid requested the Pundit to follow her. But the Pundit knew that he would not be able to do it, because he did not have faith in what he himself had said. In spite of his scholarship, he did not have faith in the power of the Name. Dear readers, this is a story narrated by Bhagavan Baba in a divine discourse delivered on April 25th 1998. Swami has always emphasized that the Lord of the Universe always responds to those with faith in Him. One need not have any worldly education and degrees to qualify in His school; it is enough if we have complete Faith in Him. For faith, as we know, can do much more than just move mountains; with faith in God we can develop tremendous confidence and witness the blossoming of talents placed within us by the Lord Himself!